Members of Michael Jackson’s grief-stricken family joined the star-studded line-up at the 2009 BET Awards on Sunday night, as the evening became a tribute to the King of Pop. 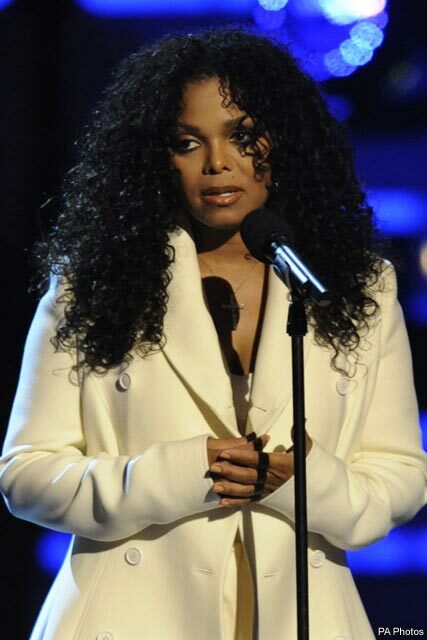 In the first public appearance since her brother’s death, Janet Jackson briefly took to the stage to deliver a moving speech at the Shrine Auditorium. Honouring her older brother, she told the crowd, ‘My entire family wanted to be here tonight but it was just too painful, so they elected me to speak to all of you. Janet was joined by her father, Joseph, while a Jackson Five melody was performed, and host Jamie Foxx took to the stage performing Jackson’s signature Moonwalk. The evening attracted a host of stars, including Beyonce, who glittered in a Balmain minidress, before taking to the stage in a billowing bridal gown to perform Ave Maria and a cover of Sarah McLachlan’s Angel. Mrs Jay-Z reportedly changed her choice of tracks at the last minute, so that she could dedicate her performance to Jackson.